From the pedigree Northland collection. 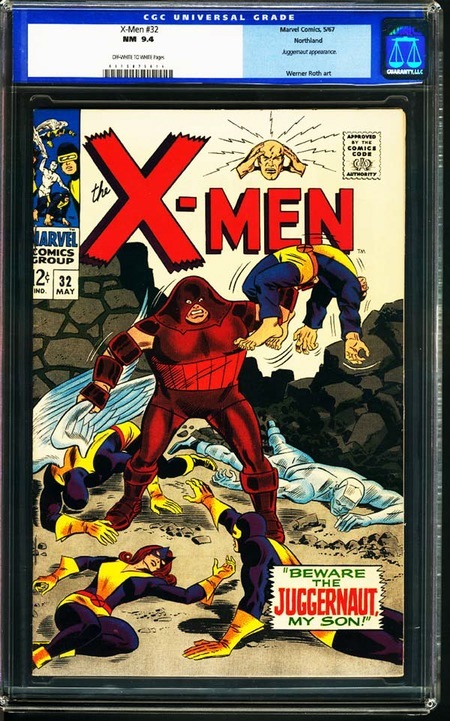 X-Men battle the Juggernaut in this early issue. Exceptional copy of this comic has very rich color strike with full cover gloss and very fresh white cover background and interior paper. Perfectly flat, clean and tight book has excellent centering, very clean and sharp cover edges and corners and terrific eye appeal. Simply killer condition pedigree comic book.